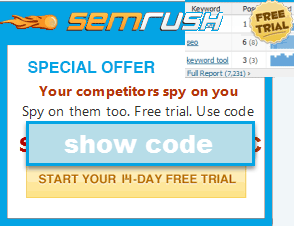 Interesting proposition, this business of "don't share your SEO strategy with your competition". I'm afraid I'm not going to be able to honestly express my thoughts on the subject of "SEO sharing" without it coming across as a bit of a swipe or being snarky. Trust me, Aaron, you are amongst the last people I would approach with "my intent as such". Heck, even if I succeed at both raising the issue, and doing so apologetically, I'm not sure I'm plowing much new ground with what I'm about to say . . which somewhat suggests that I should walk away from the keyboard whilst I'm ahead . . . Smarter men than I would. In theory, anyone you or I "share SEO strategy with", may now or in the future become "our competition". Or, even if that person isn't "competing" they may share information with someone else who is a competitor. Which leads me to wonder: Are the best SEO secrets . . secret? Is bleeding edge SEO, if such SEO still exists, always first milked to death (detection or search engineer "suspicion") before anyone ever shares "the secret"? I always thought that was the tendency. Maybe a bit of the SEO wildcat days are behind us and now SEO is getting down to incrementally effective linkdev strategies that may have brief "openings of opportunity" in specific verticals or communities or software-apps? Given the increasingly competitive, gain by centimeters not meters SERPs, maybe SEO strategies are the kind of information that simply ought not to be shared, since such exploits or strategies are easier to duplicate . . or crush? In an increasingly competitive web, with more folks than ever attempting to gain a foothold and advance, and more (so-called) SEOs laboring to provide ranking assistance, is the idea of "SEO + exchange of information" accelerating towards the grave? If there are 100s or 1000s of people "behind the (paid) walled garden" - the latest version of "sharing of SEO knowledge" (versus the old version of open discussion SEO forums) - is sharing ideas, tools or strategies always a matter of directly or indirectly exposing one's strategy to one's competition? IF the "walled (secret) garden of SEO" is opened to anyone who's willing to buy a ticket (subscription) and the garden is, say, driven in part by the need to profit (perhaps inspired by an influx of VC money, which suggests that "selling more tickets is essential" to a VC style ROI) THEN, when there are 1000s of people mingling about in the SEO garden, supposedly for the purpose of "gaining a SEO advantage", is the SEO advantage destined (doomed?) to be more illusory than real since 1000s are either exposed to or sharing the specialized (secret, etc) SEO knowledge? Therefore, as stated in this article, is it a bad idea to share SEO tips and tricks and "discoveries"? I was not saying that selling information is a bad business model (it is a model that has been around much longer than I, and others do so and make way more than I do from doing so) but my point was more that if you have a strategy it makes no expense to market it labeled as an seo strategy while marketing it to your direct competitors. Whenever I am in the forums I share ideas, but I have not yet said ok this is site x and here is how I made it rank...too easy for that strategy to end up burning sites, so it should only be used on sites you don't mind getting burned. The beauty of my current price point (and lack of VC funding) is that I do not need to have this site have thousands of members to make it work. My goal is to keep the cap at 1,000 for the foreseeable future. And a lot of our customers are in niches from international markets...so the odds of any 1 person directly competing are fairly low. Some intelligence can be shared though because the odds of someone duplicating your domain name, years of brand building, and links are low. no no no no it's not like that. Really. It's not as it appears above. Competitiveness isn't black and white, nor theoretical. Competitiveness is practical. It takes context. Competitive Knowledge has a "fluxuating" valuation, depending on context and especially understanding. If I reveal a "secret" to a group of 10 people at a conference, 1 will "get it" the way I get it. One will get it more than I get it, because that one is smarter and/or more experienced than me, and has more context from which to interpret my secret. 3 will "get it" in their own ways, based on their own perspectives. If we were to compare notes, we would see we were speaking of different aspects of the secret. But we don't compare notes. We walk away, me knowing I probably revealed too much, and she feeling she got a great secret that she can put to work right away. In actuality, no harm was done. Will she be competing with me? No. The other 5 can be similarly described... some won't get it, some will mis-get it, etc. The point is, share a certain way and you are helping without causing yourself much grief. Oh sure the black and white theoretical of "here's the secret formula for title tags that ranks #1 every time" might keep the mental masturbators busy with "conceptualizing what-ifs" but that's not how it is the real world. Share the location of your food stash with a fox and you may go hungry, but I can assure you there are not too many foxes at SEO conferences these days (badump BUM). That was nicely stated. On the other hand, too many act as though they live in fear of training or helping others who may have the potential to "get it". The reality is that there is always change and those who got it may not get the next "secret" on their own. Although this is a "doggy dog" / competitive industry, as so with many others, there is plenty of work and personal interests to capitalize on. The reality is that none of us ARE Google. In the above examples I showed how people were marketing their strategies "as SEO" to their direct competitors (with that being their goal)...that is where the risk comes from. The reality is that none of us ARE Google. But many competitors would love to turn you into Google, and if you are marketing your newest techniques *to the competition* and doing so from the lens of *this is SEO* then you are taking on unnecessary risks. Methinks this is funny, and I had a good morning laugh. Thanks for sharing (pun intended). However, on the broader topic it seems to me the world of SEOs has got a massive chasm going straight through the middle of it: on one side people who wouldn't share anything, lest the sky fall on their heads. On the other people who build a solid reputation on sharing their expertise. Like yourself.